It is hard to describe the feelings for playing Dark Souls 3. 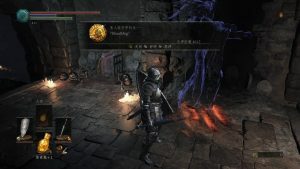 On the one hand, Dark Souls 3 is famous for its high difficulty so it is quite normal for a player to fail before the same enemy for tens of times. The aesthetic design and the music sound both try to create a suppressed atmosphere. On the other hand, a player can get great satisfaction by defeating dangerous enemys, or revealing the story of this world. Dark Souls 3 is an ARPG (Action Role Playing Game), and it is the final part of the Trilogy of Souls. The story happened in a fictional universe being broken. The players act as an normal one in this end of the world situation, and the player’s move will lead the world to abyss … or another endless cycle. When talking about Dark Souls 3, the high and unchangeable difficulty is always the center topic. In this game, players have to use sword or magic to fight against malicious dangerous enemies, and a simple mistake will lead the character in the game to death. It is also for its great difficulty, a new term “Souls-like-games” is created to describe such hard-core games. Let us start from the Elemental Tetard so we can get a close view of this game. The story background of this game is set to be the end of a world. The world is at the edge of broken: deadly disease spreads among people, undeads walking on the street, and the one who was supposed to protect this world refused to fulfill his duty. In this story, the protagonist was a “unkindled ash”, which means he (or she) will not die, nor really alive: a curse just like Deadpool. The protagonist, once dead meaninglessly, was recalled from death to put the world back to the right path. The way to rescue the world is to take back the powerful “Cinders” by force, to fuel the source of this world: the Initial Fire, yet the “Cinders” are much more powerful then a “Unkindled Ash”. The aesthetic design of the game try to bring a “ending world” to the players. The visual effects of this game can be described as “magnificent”: the valley under snow and aurora, Gothic high wall and castle, and the ashy church “Firelink Shrine”. The Gothic buildings in this world is suppressing and the sound effect is also sorrowful. Together, the surroundings in this game provides a experience of dark, loneness, fear and despair. The player has full control of where to go or what to do. You can explore the world as you want: if you can survive from the monsters and the countless traps. You can fight with a melee weapon, or use magic to clear your way. The battle system is mainly based on the usage of shield and dodge, just like fights in middle age. You can go through the journey of taking back the “Cinders” and linking the “Fire”, but NPCs have little lines and there is no mission log or mission guide. The story of the world is hide behind these several lines and the information from the objects you collected from the world, and you have to dig into these clues to complete the puzzle of the story. The technology this game uses is not advanced. From Software uses YEBIS2 engine to improve the expressive force, yet compared with other RPGs in 2016, the picture of this game can only reach the level of “barely scraped through the line”. To sum up, this game is not advanced in technology, but by combing the aesthetic design and the “minimum guide principle”, this game successfully created an atmosphere of depression. The very beginning of an RPG is its story. Different form main stream RPGs, there is little background stories provided and no mission guide at all. 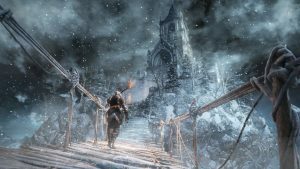 The story of Dark Souls 3 is hidden under the NPCs’ lines, the description of objects, and the landscape of this falling world. A player must pay attention to all information he can get from the game so that he can figure out what had happened and what is going on in this world. 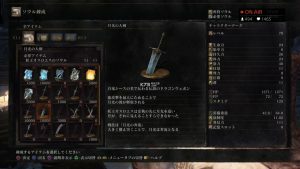 Dark Souls 3 does not give players full freedom to write their own story, although there are different results in different missions and there are 4 different endings. Instead, what Dark Souls provides is the freedom to dig out and interpret this story. From the fragments of information, players can try to interpret the story in their own ways. 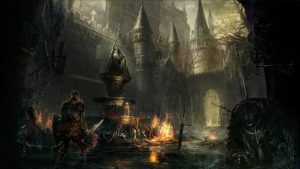 “There are a thousand Hamlets in a thousand people’s eyes.”, you can still see discussions about the story of Dark Souls 3 in many forums and be astonished by the way how others think of this story. In short, intentionally hiding information and the massive using of metaphors make player not only the audience, but also the re-creators of this story. As said above, Dark Souls is famous for its high difficulty. Dangerous enemies and traps are designed out of malice. At any corner there could be an undead holding weapon waiting for reckless players. What looks like a treasure box is in fact a treasure box mob. Besides, there is no difficulty tune in this game, no matter you are new to act-games or you are experienced, Dark Souls provide you with the same malice. However, players can overcome this by accumulating their experience. From dying and dying again players can get to know the action method of the enemy, or get to know where could be traps. The level of a character does not mean everything, what really matters is the skill and experience of the player. For instance, top players can defeat all the bosses with the initial character in 2 hours. For players who struck at certain place for a long time, sometimes there are cheat ways to do it, such as terrain kill. 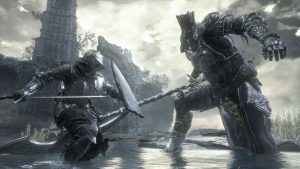 Dark Souls leaves the choice “competition or cooperation” to players. Players can get help from “Warrior of Sunlight” when they are fighting with enemies, or get invaded by other players. The game provides many different roles, and a player can switch to other roles easily. Roles include helping others against mobs, invade other’s world for reward, helping others to defend invasion, automatically call for help when being invaded. Players then choose their roles based on their play styles, (and also the reward they want). Another special system is the “mark” system. Any player can leave a mark on the map. The contents of these marks could be information about a hidden path, or warnings such like “enemy behind the door”, or simple words like “Long may the sunshine”. Players can get rewarded if their mark is prised by other players, but they can also set up fake marks to lead other players to traps: it all depends on players. 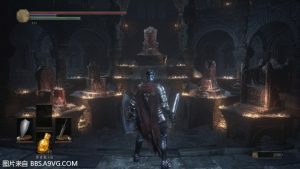 The last but the most important, and that is why Dark Souls can take a stand in game history, is that Dar Souls 3 fulfills one’s need of self-actualization. In Maslow’s hierarchy of needs, self-actualization is the highest level of one’s need. When a player managed to overcome a boss by failing and practicing once and once again, he will feel that he succeed in self-overcoming and releasing his potentials, which is a critical part in self-actualization. You are an undead/unkindled, a being that is usually regarded as worthless and weak. No one you meet ever seems to have faith in you, and you die, over and over again. You continue to lose all of your souls, all the while you try to grasp onto the last bit of humanity in you that remains. You cannot truly die, and when that last bit of hope escapes you, you will turn into a hollow; a mindless and aggressive creature that is doomed to walk the earth for all eternity. Weak as you are, the curse made you unable to truly die, and your persistence made you the most fearsome foe in existence. This is why Dark Souls is so satisfying. This is what Dark Souls made of: suffering, satisfying, and finally self-actualizationing.